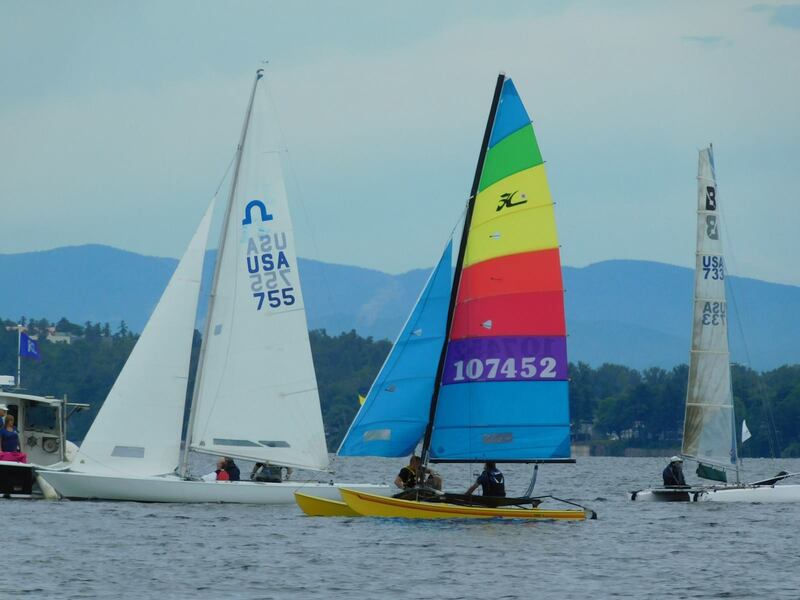 The Mayor's Cup Regatta and Festival is Plattsburgh's most time-honored and highly anticipated summer tradition on Lake Champlain. 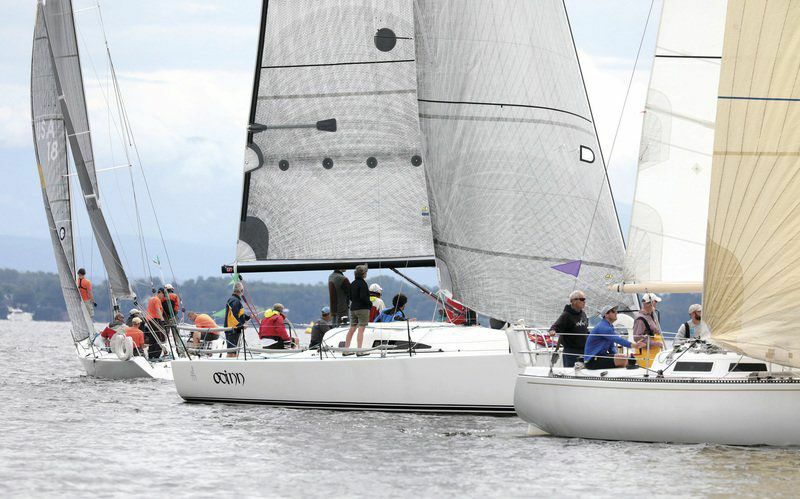 The four-day celebration includes the 42nd Annual Regatta, Post-Race BBQ and Award's Ceremony, as well as Live Music, Family Arts & Kid's Activities, and so much more! 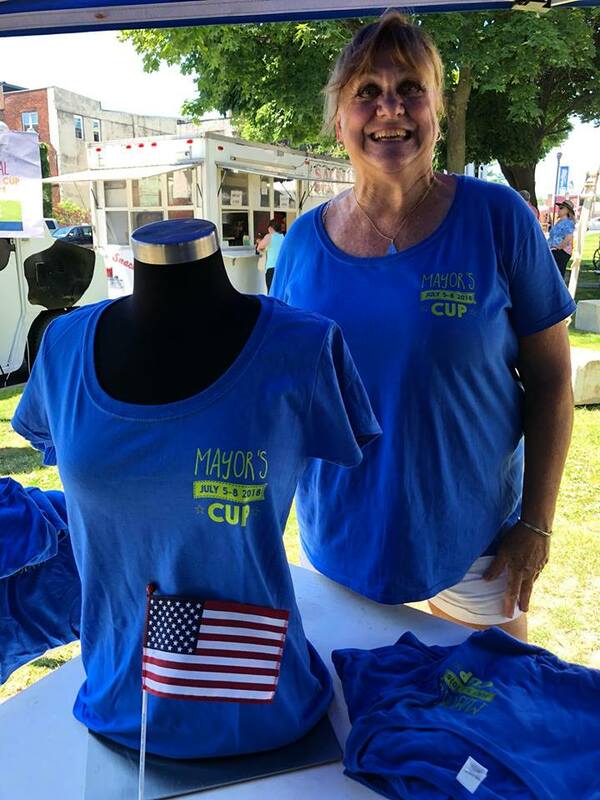 The Mayor's Cup event is a 100% community funded event with support coming from many generous local businesses and organizations. 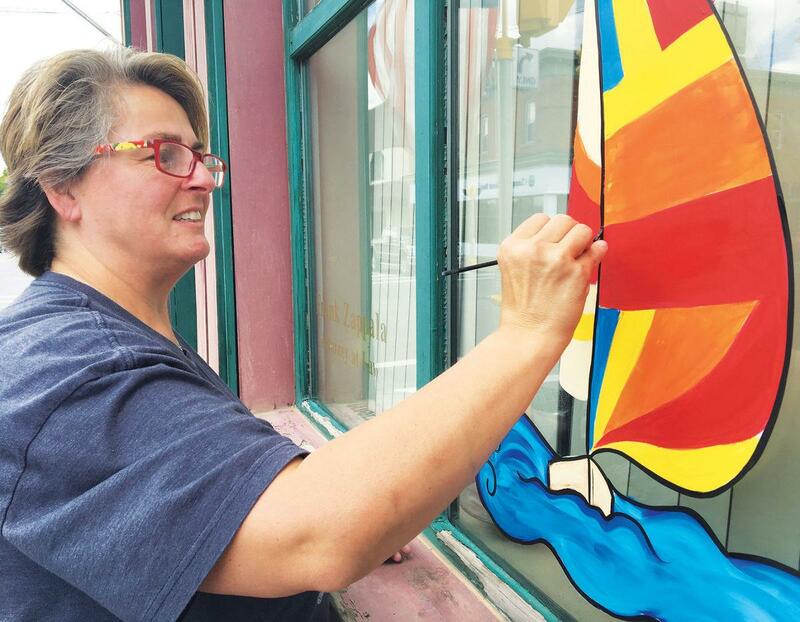 The proceeds benefit various community projects. CLICK HERE to learn more about sponsorship opportunities. 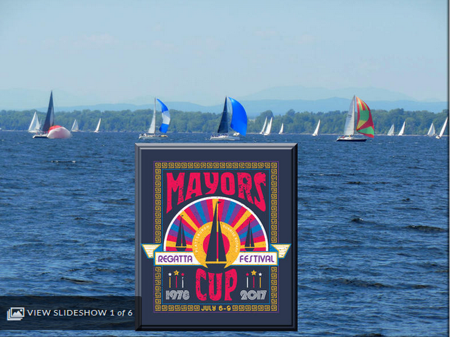 Known as “the” sailing tradition of Lake Champlain, the Mayor’s Cup Regatta returns July 8th as the signature event of the popular 4-day summer festival in Plattsburgh, NY. 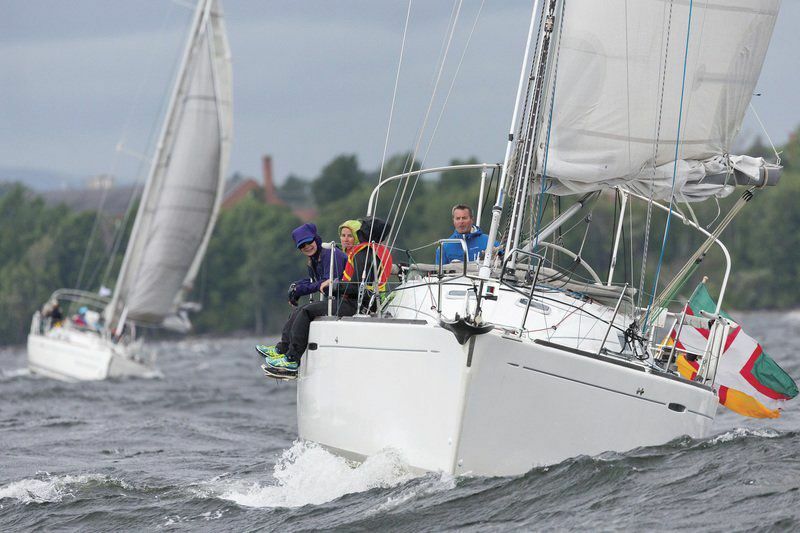 Attracting sailboats from throughout the northeast and Quebec, racers face a “no guts, no glory” competition known, since 1978, for its spirited fun and, sometimes, high-seas adventure. 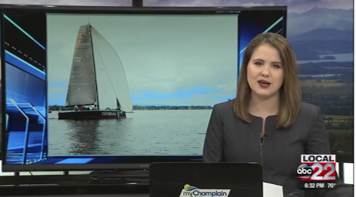 When skippers, who compete around the world, claim Lake Champlain as “sailing at its best,” we know our waterfront treasure is no fools gold! 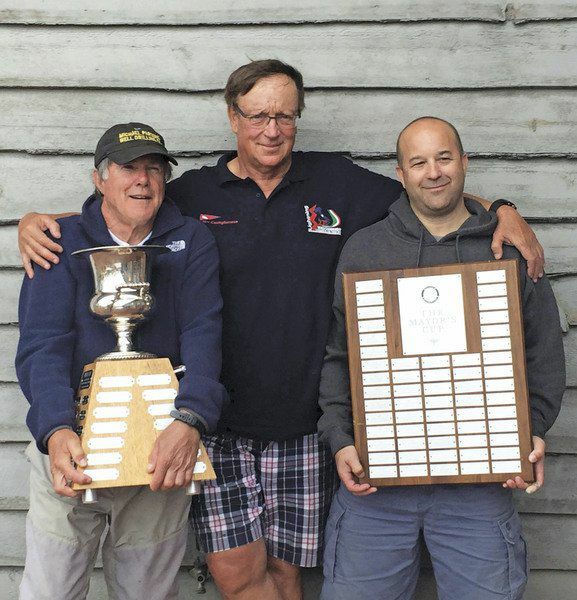 CLICK HERE to learn more the 2018 Regatta and past winners. 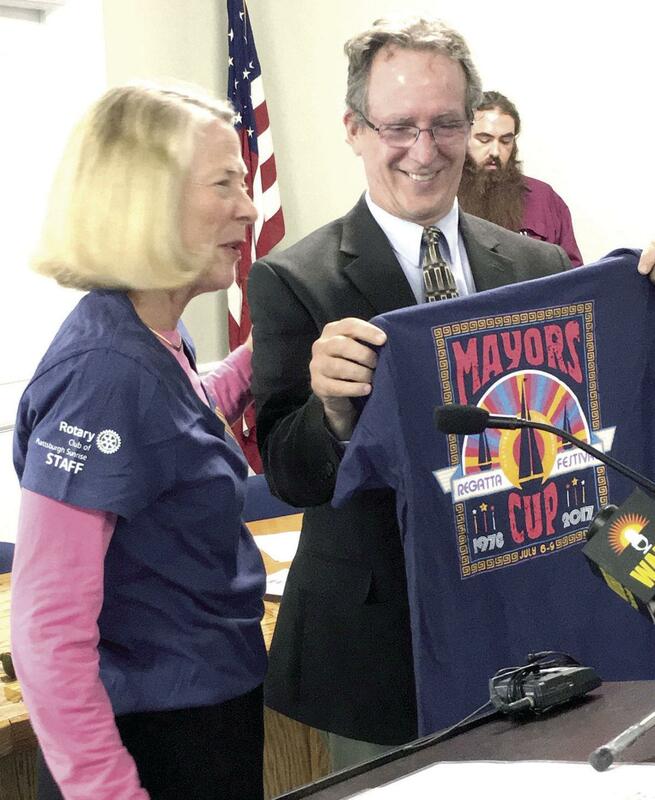 The Mayor's Cup T-Shirts are a long tradition of the event. Each year's design is unique and an essential piece of the weekend's wardrobe. They come in various sizes in both crew and V-neck design. 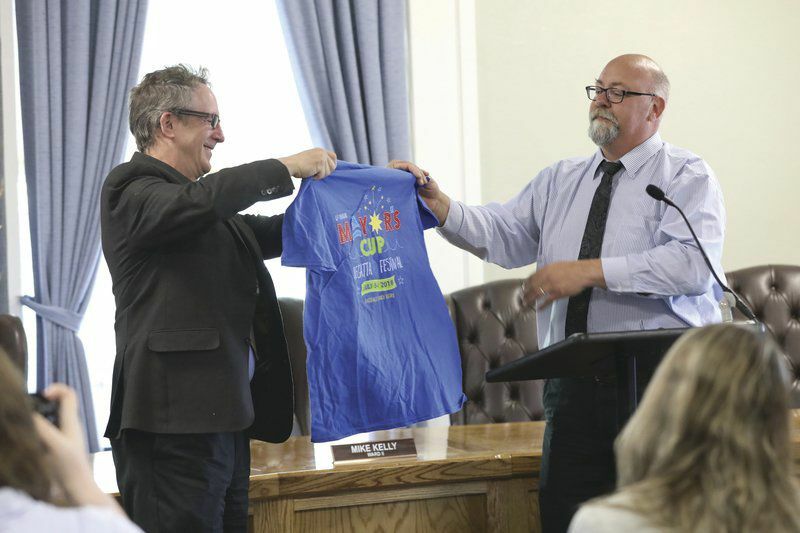 T-Shirts sales help fund various community services throughout the year and will be available in June. Check back for more details and where you can purchase your shirts. We look forward to having you join us this year for wonderful events for you and your family. 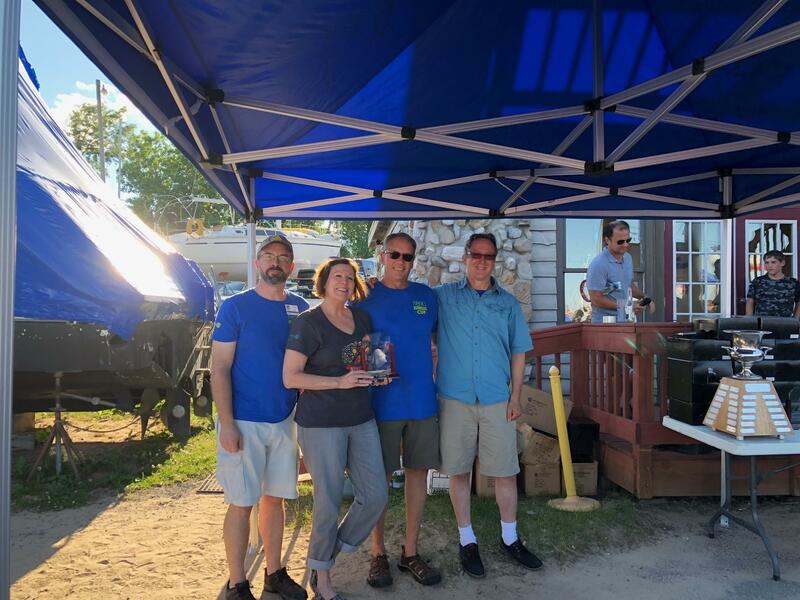 CLICK HERE for the complete calendar of events from 2018 and check back later for the 2019 calendar. 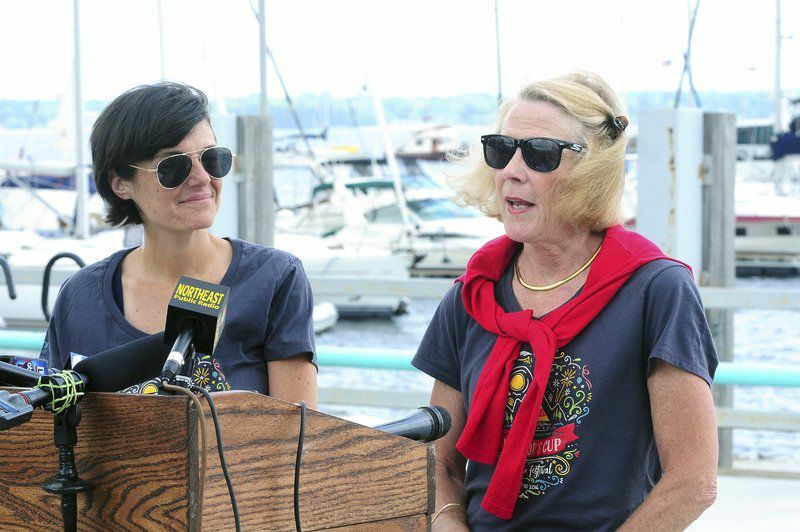 The "Spirit of Ianelli" Award was established in 2010 in honor of the late Mayor John Ianelli, former Mayor of the City of Plattsburgh and co-founder of the Mayor’s Cup Regatta in 1977. 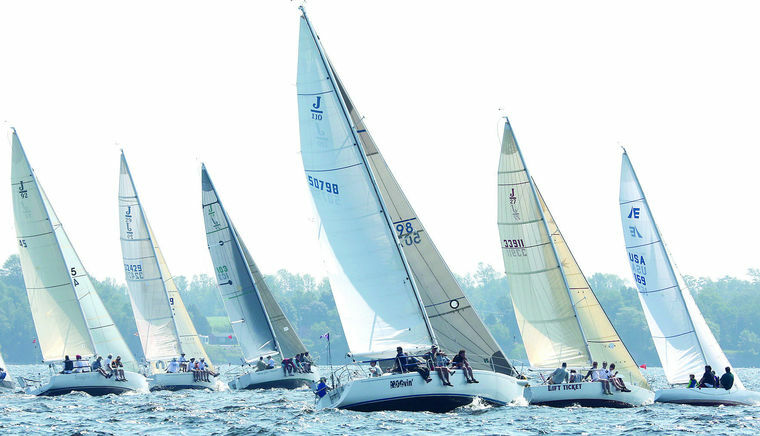 This honor is bestowed upon one individual – sailor or landlubber – who exemplifies the same “community does matter” spirit that inspired Mayor Ianelli 37 years ago, empowering our lake community to thrive, not only on race day, but every day. CLICK HERE to read about the 2018 honorees. Call for nominations will open later this spring. Check back for more details. 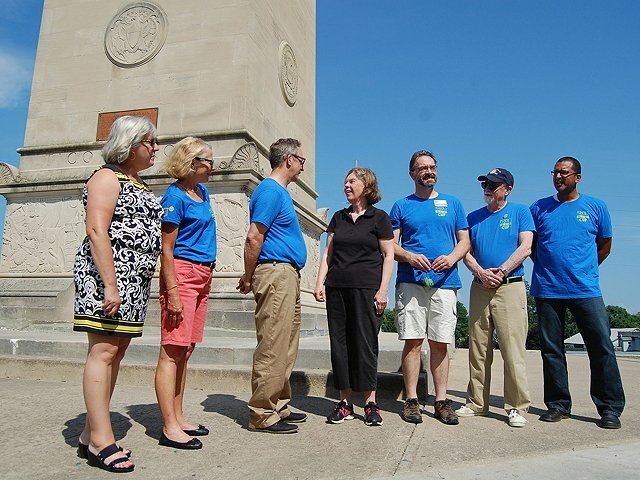 Sunrise Rotary of Plattsburgh looks for opportunities to enhance the sense of community both here and in locations far less fortunate around the globe. 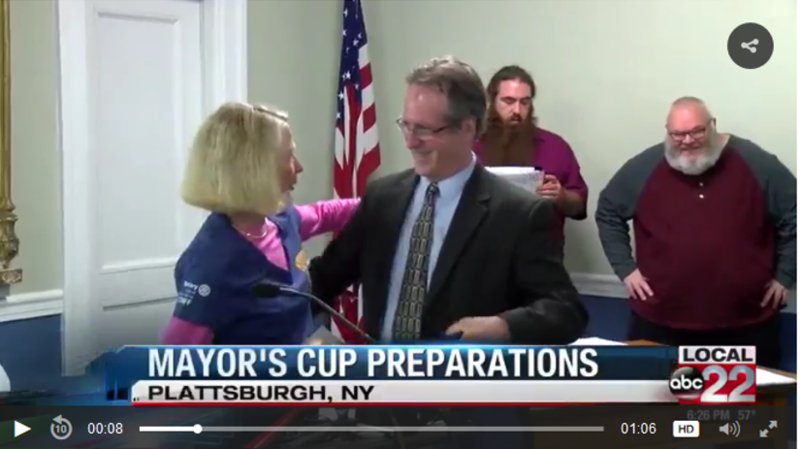 The Mayor’s Cup Regatta & Festival, in partnership with the City of Plattsburgh, provides the ideal venue for a community celebration of summer in the North Country. 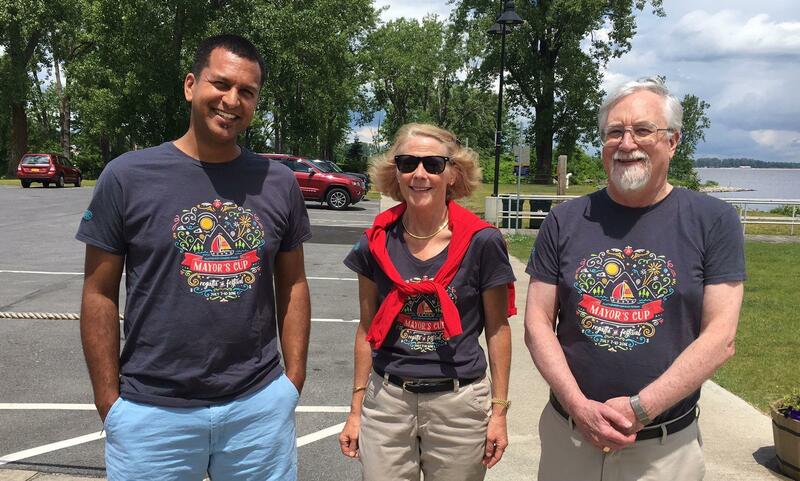 The Plattsburgh Sunrise Rotary Club is dedicated to serving our community. 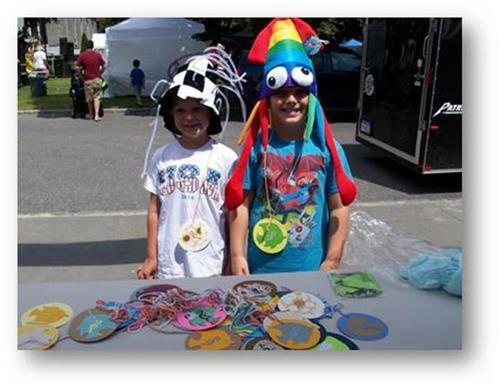 Through the proceeds from Mayor's Cup events, we are able to fund and implement various community projects.